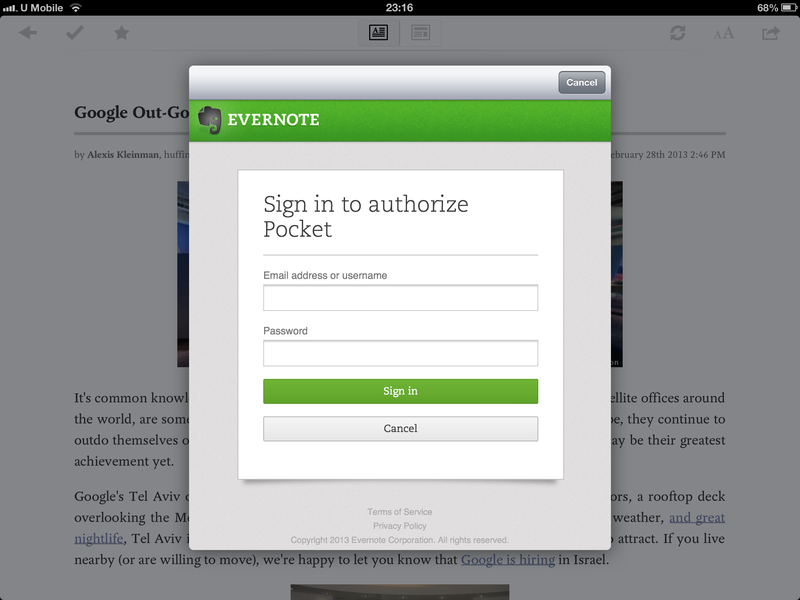 If you’re reading this, there’s a high chance that you already know of the recent situation where Evernote required all users to reset their passwords. While it was a minor inconvenience to change my password and reconnect all my Evernote services, I soon discovered a more irritating side effect: All my third-party apps that accessed Evernote would no longer be able to interact with Evernote. The cause of this is pretty obvious, as a new password means that these services that were originally able to authenticate with Evernote weren’t able to do so anymore. For some reason, I didn’t find the process of de-linking and re-linking Evernote from my Pocket account as easy as I would have liked. 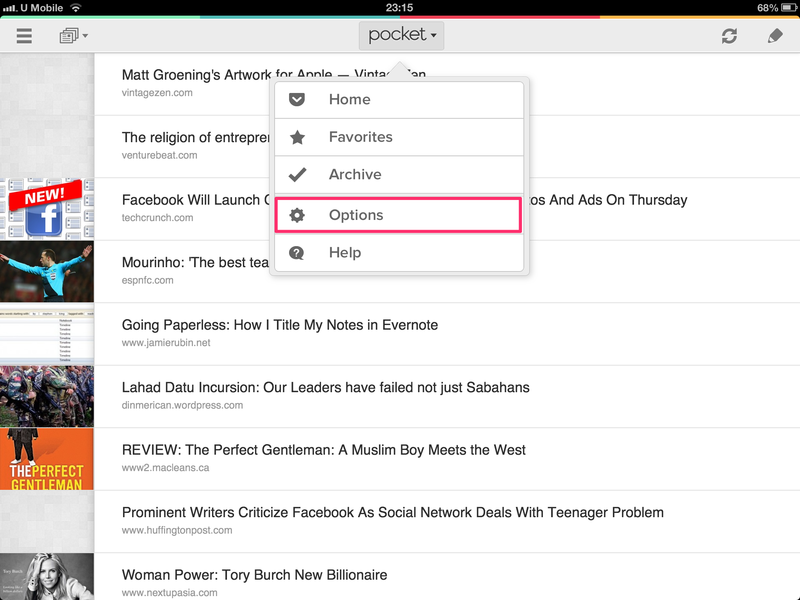 I did find the official response from Pocket, but I think it should be a little simpler, so I’ve posted a few steps here to help whoever who prefers a visual answer. 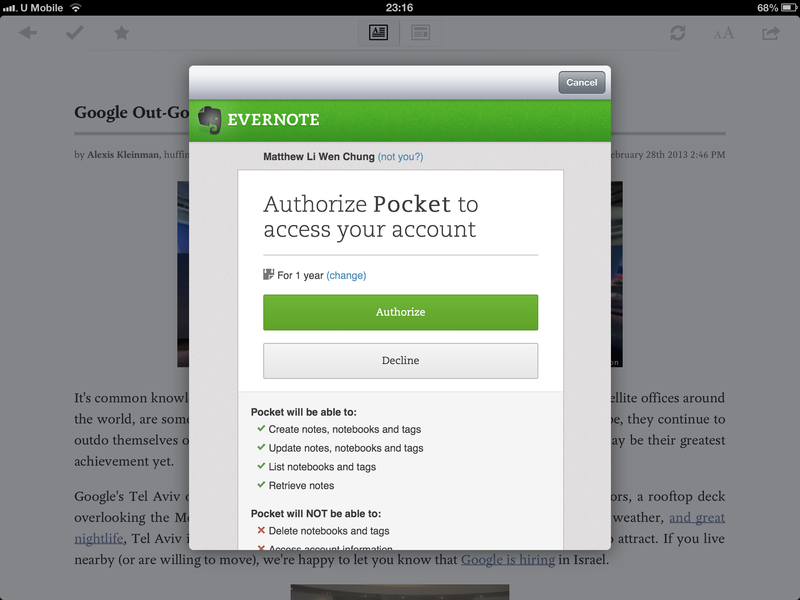 Authorise Pocket to interact with Evernote, and you’re done! 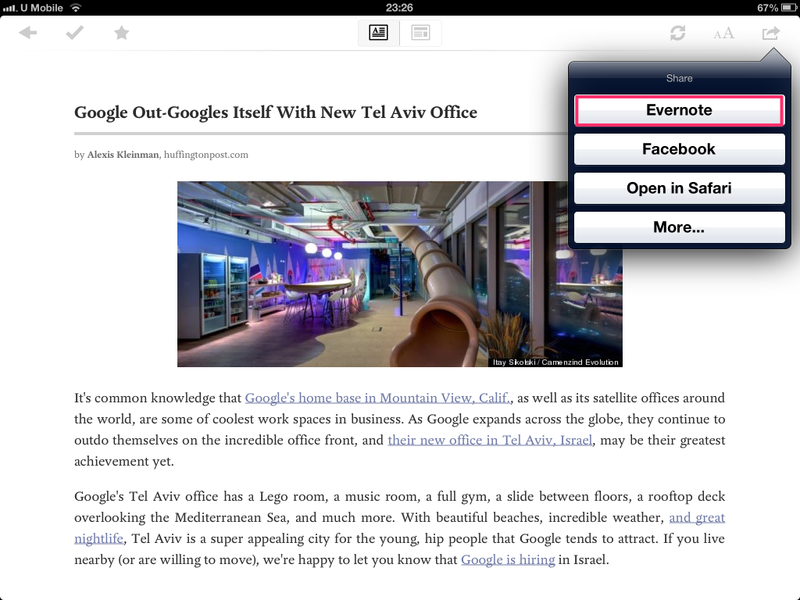 Now try sending an article to Evernote from your Pocket app again, and it should work. 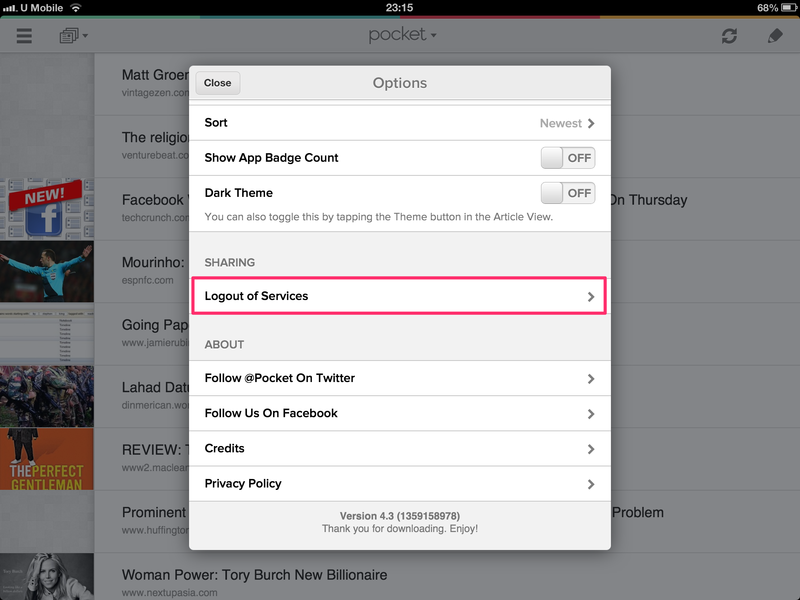 Do also take note that you’ll need to hit “Logout of Services” on your all devices and re-authorise Pocket on each on them. Hope this helped! If you have any issues with it, feel free to leave a comment below, and I’ll try to respond as soon as I can. 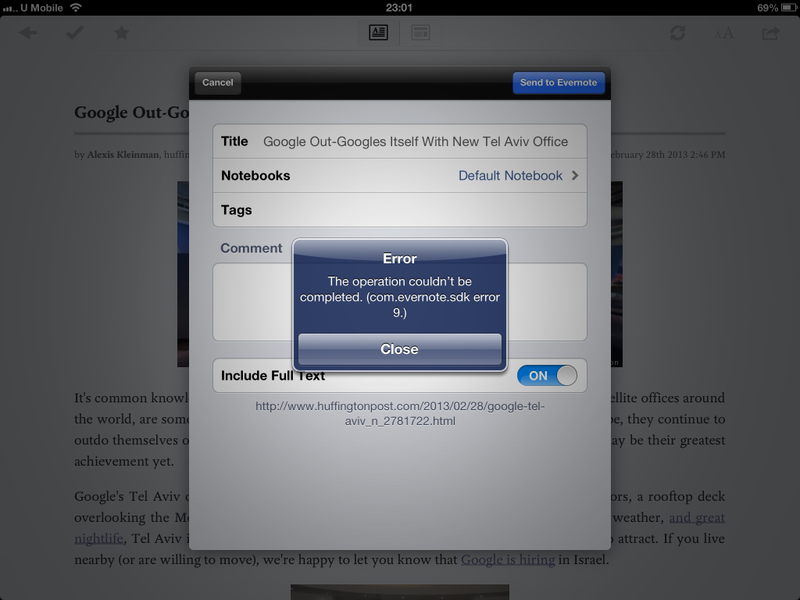 Tanks, exactly the Solution I was looking for..
Matt, Proudly powered by WordPress.